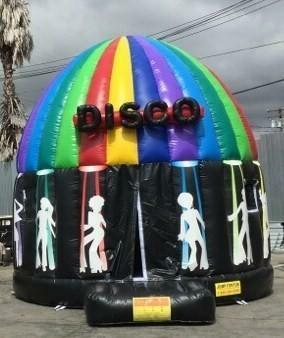 This 16 foot diameter Disco Dome is great for Disco Parties, comes with the Disco Ball Lights and Sound System you bluetooth your music to our booming Speaker system. Appox 6-8 users at at time. Please allow appox 1 hour for set up of this unit.